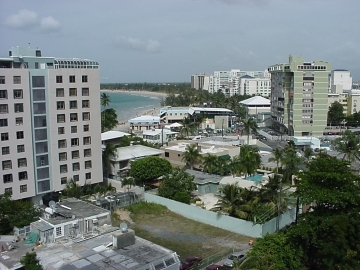 This studio apartment is located in the Reina del Mar Condominium tower next to El San Juan Hotel and Convention Center in the Isla Verde District. It is tastefully decorated and furnished with all amenities. It includes cable TV/ with VCR, air conditioning. This nineth floor apartment offers a queen size bed and full futon. An ocean side sub-balcony opens up offering relaxing ocean-side city and ocean views. 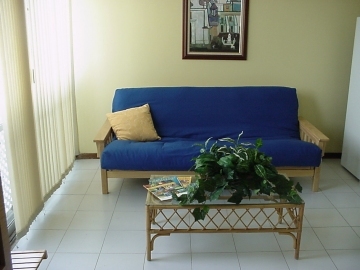 Swimming pool and Laundry facilities are available at the main level. 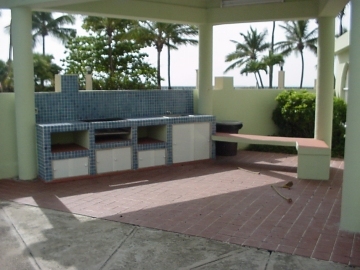 A studio apartment with fully equipped kitchen, air conditioning, Cable TV w/VCR, Queen Bed, Full size futon, all bed and bath linens, secure off-street parking, ocean and city views, located in the popular Isla Verde tourist district of San Juan, Puerto Rico. 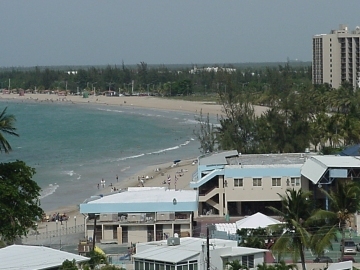 This caribbean vacation rental apartment is located on the beautiful Reina del Mar Condominium located on Isla Verde Beach. 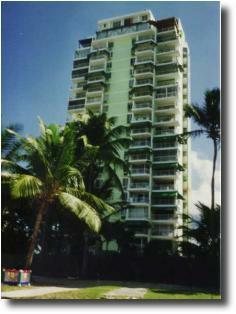 Offering panoramic views of the entire Isla Verde Beach District. The beach is a very popular white and golden sandy beach suitable for sun bathing, swimming, wind surfing, and other water activities. 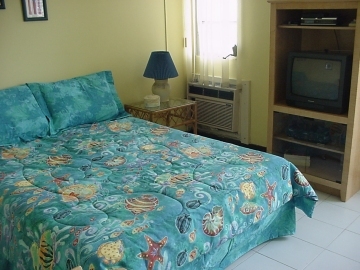 It is just a block away from the El San Juan Hotel & Casino, and only 5 minutes from the airport.